Can you drive a purse? One thing I find super ridiculous is expensive designer purses (EDPs). Sure I’m a fashionable female and yes I even own a few of these EDPs, but I find it embarrassing that I even have them and like them and want them? Doesn’t this go against everything about being frugal and using savvy spending habits? Well yes it does. So I’m trying to wean myself off slowly. I think the most I’ve ever spent for a purse was around $200 (USD) which is not cheap. I’ve looked at purses that are $500 (or over, sorry I’m being truthful here) and I think I could justfy the purchase by, “I make a decent salary,” “I work so hard,” and my personal favorite stupid spending excuse “I deserve it.” REALLY?!? Don’t I deserve to make my hard earned money work for ME? Don’t I want to retire early more than any silly frivolous material good that will just go down in resale value once I fork over the cash, swipe that card or click purchase on the internet shopping site? One designer I really find just *gasp worthy* is Celine. There is a certain fashion blogger that I like who owns this purse, I’m really hoping it was a gift to her, or she makes a TON of money, because anyone who doesn’t make a TON of money and spends over TWO GRAND on a purse, well that is just crazy to me, yes my opinion, this is my site and I get to type my opinions. 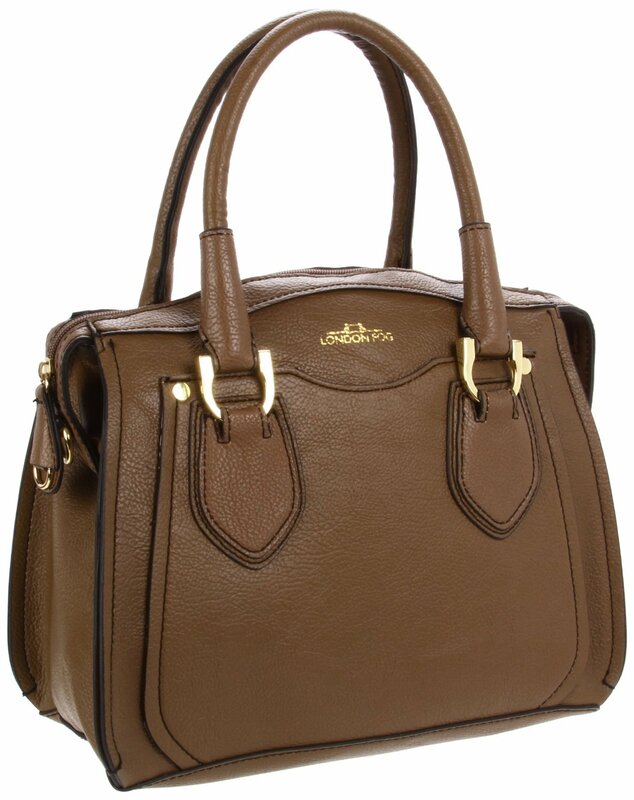 Here is the scoop and what I ended up buying, this taupe beauty, from London Fog (I didn’t even know they made handbags until myhabit had a pop up sale) it is leather and it should be coming delivered to my home tonight! AND I spent about $50- for it, free shipping, woo hoo! This picture is of the satchel, and I bought the shoulder bag, which dimensions are more similar to the lustworthy Celine, but the color is the same.